Founded in 1995, AR-PE Hoof Trimming Hoof’s mission to promote holistic hoof health is to treat and prevent lameness in cattle with curative trimming, which plays an important and preventative role in maintaining hoof health. 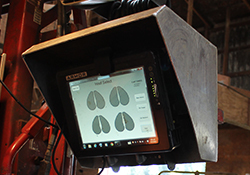 By incorporating AR-PE’s state of the art hydraulic elevator hoof trimming machine, we are able to focus our attention in creating a comfortable and stress-free environment in order to treat the hoof. We also provide customized trimming records that enable us to consult with cattle owners and provide statistics on current and future visits regarding cattle that have been trimmed. Meet the amazing team behind AR-PE Hoof Trimming. Our people make us great. 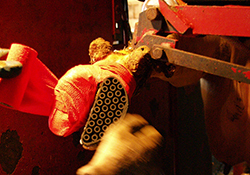 We offer a variety of services, from hoof trimming to risk assessment. Stay informed with the latest industry news through our latest blog posts. © 2013 AP-RE Hoof Trimming. All Rights Reserved. Site by Type C.